Michael Cobley: Seeds of Earth. Adventure sf with a juvenile touch, describing how humanity is fleeing from an earth invaded by aliens, and is then split into three groups arriving at very different planets. Most of the story takes place on a planet already inhabited by an intelligent species which also has archeological sites with almost mystical properties. A love story that not develops at all is somewhat irritating. As a whole an entertaining reading experience but with no major literary qualities or interesting ideas. 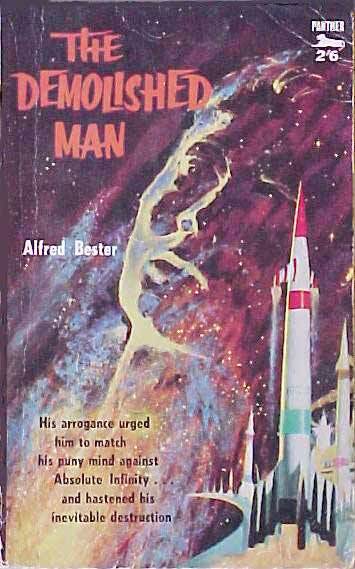 Alfred Bester: The Demolished Man. A complicated detective story with a lot of sf elements – telepathy, space travel, future society, elegantly accomplished and a classic. One of the nicest ideas is the use of a jingle as an earworm to avoid others listening to the thoughts. Still, I find the novel less of a masterpiece than The Stars My Destination (Tiger! Tiger! 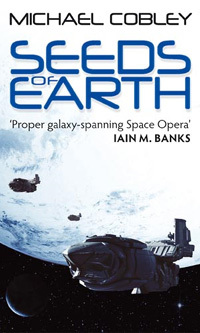 ), but it is nevertheless required reading for every sf fan. Roberto Mendes & Ricardo Loureiro, eds. : The ISF 2012 Annual Anthology. ISF stands for International Speculative Fiction, which is also a free online magazine, and this anthology does contain many stories from many countries. After every story there is a short presentation of the author. There are two stories by Aliette de Bodard, one of which has previously been published in Interzone, two stories by Lavie Tidhar and one by Ken Liu, in addition to a lot of stories by (to me) less known authors. It is really refreshing to read stories from outside the Anglophone world, and at least for me the translations were enjoyable. Thomas Blackthorne (John Meaney): Edge. 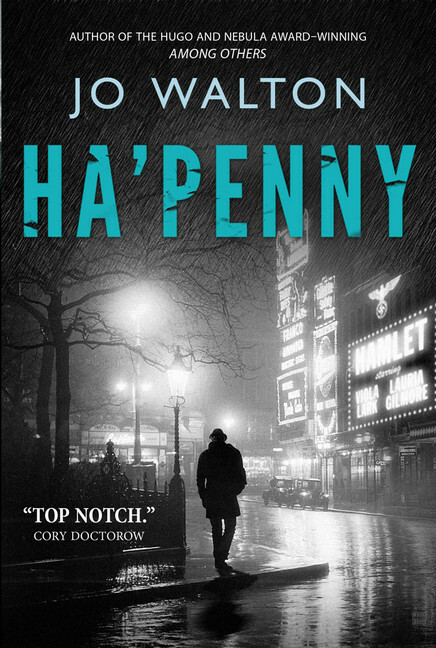 Near-future thriller set mainly in London, where it is common to solve conflicts with knives. The hero of the story slowly realises what a criminal organisation does, and we also follow a kid who has witnessed atrocities. The characters are believable and interesting, and conflicts and interactions are well described. 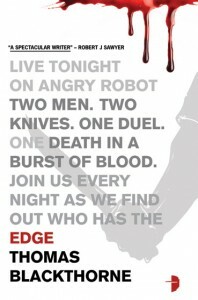 Even an extended knife fight was described in a way that kept my interest, which is usually not the case with fights. The second book in the “Small Change” series, is like the others a detective story set in the alternate UK that made peace with Hitler in 1941, and with Peter Carmichael as inspector who is trying to solve a murder attempt. The story is largey about a family with many very different daughters, and it is very entertaining to follow the complicated family play between them. 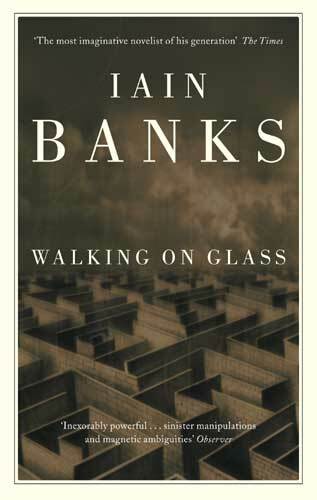 Iain M. Banks: Walking on Glass. The recently deceased Banks’ second novel is a wonderful, somewhat demanding but in the end rewarding story with three different story lines that come toghether in the end. The most sf:nal line describes two individuals imprisoned in a castle where they play games and are supervised by a red crow. The other two lines describe a paranoid roadmender who reads sf and hates cars, and a boy who is in unrequited love with a girl who has an incestuous relationship with her brother.